Stop by the showroom today to give her a test drive. The Cherokee is a compact SUV competing with SUVs such as the Toyota RAV4 and the Honda CR-V.. Have confidence when purchasing your next ride. A CarFax report is included. It has had only one previous owner and comes with a CarFax Buy Back Guarantee. Save money with a fuel-efficient combined EPA estimated rating of 25 MPG combined. You better not buy until you see this vehicle. You'll forget how you ever drove without a rear view camera. 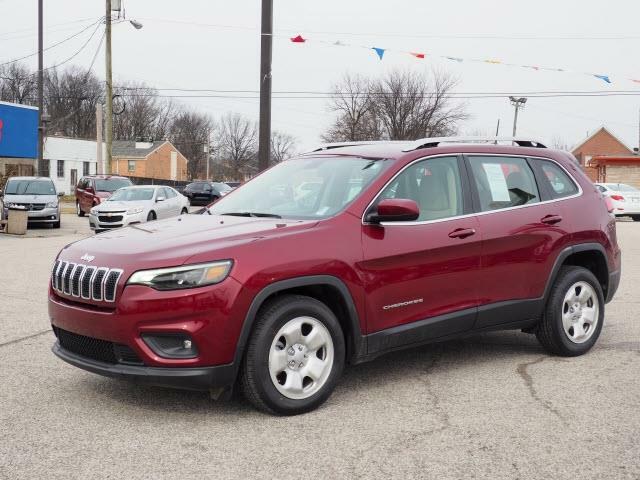 You'll also love this Cherokee's power mirrors, keyless entry, Bluetooth enabled, cruise control and tire pressure monitoring system.